Like Jillee at One Good Thing, I use a microfiber cloth to clean my glasses. Love it! But sometimes it doesn’t clean the lenses completely. Instead of buying a commercial cleaning product, I looked around for a natural eyeglass cleaner and didn’t find anything I liked. Then I found this post by Jillee. 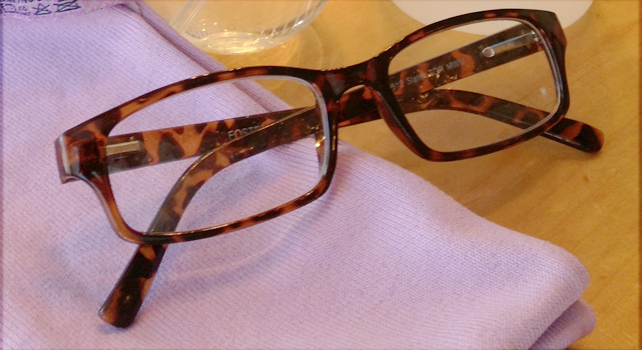 She has a very simple recipe for a homemade eyeglass cleaner that works great. I’m sure you already have the ingredients in your kitchen. Click the Make Your Own Homemade Eyeglass Cleaner link below to see the complete post.